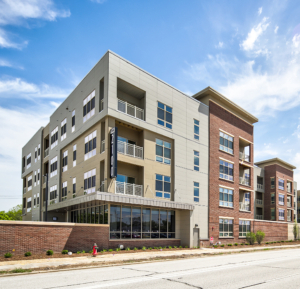 Conveniently located on Mayfair Road in Wauwatosa, THE 2100 provides luxury and style with spacious studio, 1- and 2-bedroom open floor plans. Each unit comes with over-sized windows, a private patio balcony, stainless steel appliances, and all the amenities you come to expect in a newly-built modern-style apartment. THE 2100 Apartments provide you the convenience of an on-site fitness room with new, state-of-the-art equipment, concierge services, an outdoor grilling area, an indoor pet washing area (we are pet friendly! ), and so much more! We invite you to browse our apartment floor plans, amenities, picture gallery, and get to know more about our great location in Wauwatosa. 2100 from Films By Design on Vimeo. 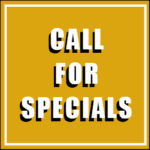 Call 414-313-5070 or Contact Us Here to schedule a showing of our luxury Wauwatosa apartments! THE 2100 has received the LEED™ Gold certification from the U.S. Green Building Council. Our design and construction follows guidelines of their Leadership in Energy and Environmental Design (LEED) Green Building Rating System,™ the nationally accepted benchmark for the design, construction and operation of high performance green buildings. THE 2100 has also received the 2018 “Projects of Distinction” award by the Associated Builders and Contractors, Inc. (ABC), recognizing the high quality of construction in the building. Projects are evaluated by a panel of construction experts who apply their knowledge and experience in the areas of safety, quality, owner satisfaction, execution and coordination, budgeting, difficult and unusual challenges and overall distinctiveness.